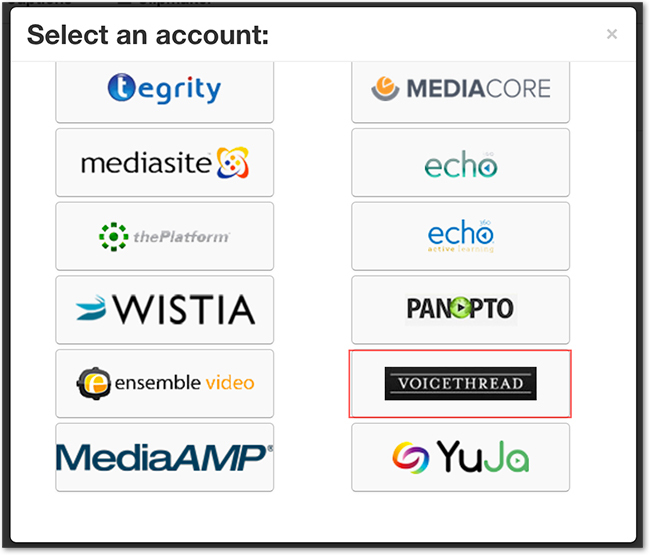 Follow the steps below to set up the integration between your 3Play Media account and VoiceThread. From the My Files page click Upload Media. Click Linked Account and from the drop-down menu that appears click +New Linked Account. Click the VoiceThread icon from the list of video platforms and lecture capture systems. Click the Create Account button and add a nickname (optional) to the account if desired. Once Create Account is clicked the API Key and API Secret Key will be displayed on the Settings page. Copy these two keys as they'll need to be shared with VoiceThread. 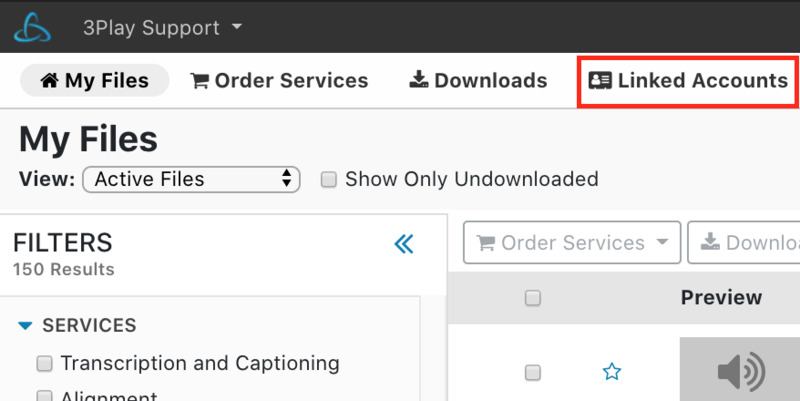 To complete the integration setup, contact a VoiceThread support representative to share the API Key and API Secret Key. Once VoiceThread has confirmed that the setup process is complete, captions can be ordered for your VoiceThreads.